The Twin Cities already held a special place in the Davis family’s hearts. In 1991, Chili Davis won his 1st world championship as the Minnesota Twins defeated the Atlanta Braves, a series that many still consider to be the best World Series ever played. After Arizona won the RBI West Regional Tournament, Kai Davis got to make a very special phone call to his father. Almost 21 years after the Twins’ spectacular victory, it was now Kai’s turn to come to Minnesota to compete in his own World Series. Like father, like son. 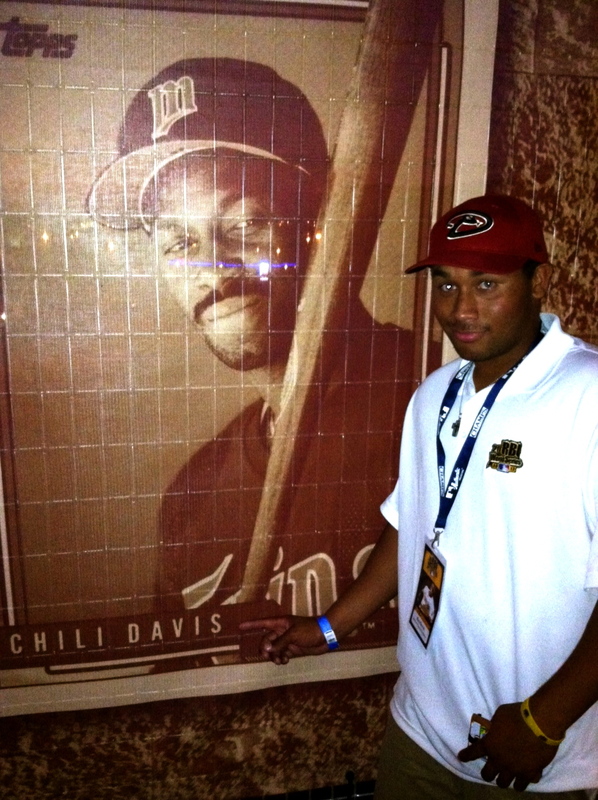 Kai Davis standing next to his father’s photo at Target Field. But Kai’s connection to the Minnesota Twins runs even deeper than his bloodline. He typically wears #34 to honor Kirby Puckett, a family friend who still influences the young player at the plate six years after his death. That mentally has helped push Kai throughout his baseball career. Living in Arizona, the teen had plenty of baseball programs to choose from but he was drawn to RBI for a very specific reason: the program’s emphasis on life outside of baseball. Heading into the second day of competition, Arizona holds onto a perfect 2-0 record, notching wins against Harrisburg and Detroit. 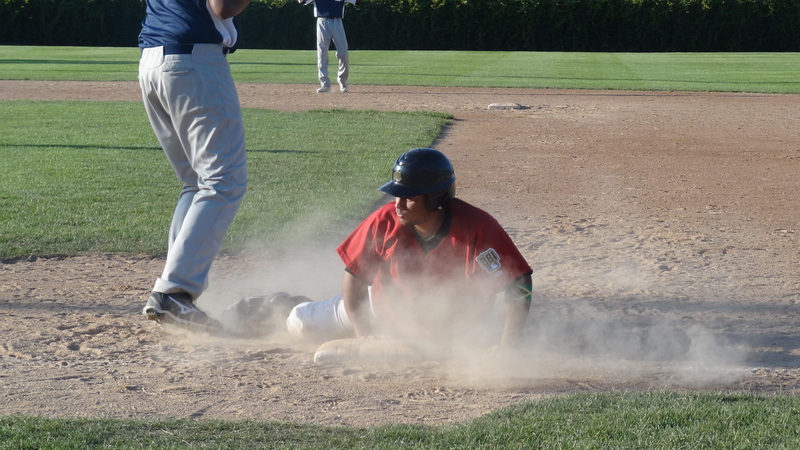 The team plays Jackie Robinson RBI Friday at 11 a.m, their last regular game before heading into Saturday’s playoffs. With his dad busy on the hunt for the postseason — he’s the Athletics’ batting coach — it was unlikely that he would have time to make it to Minnesota for the tournament. But that hasn’t stopped Kai from sharing his experience with his father. Four games stand between Arizona RBI and the Senior Division Championship Game, a matchup that is scheduled to be played at Target Field. For every team in the RBI World Series, it’s a once-in-a-lifetime opportunity. But of course, for a boy who grew up watching — and re-watching — the ’91 World Series, he has his eyes set on a different arena.